Second Period - 1757-1810. 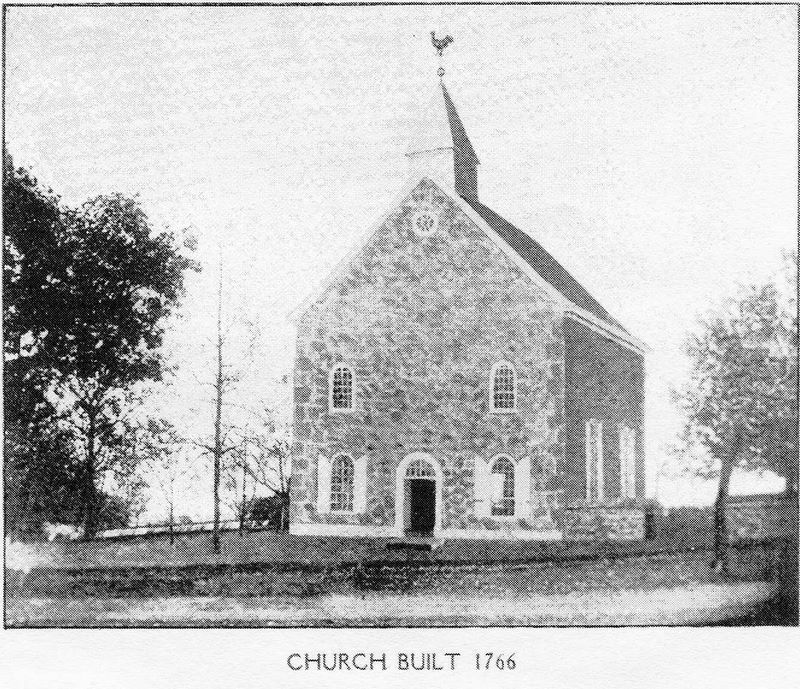 John Waldschmidt [p 33] - "In 1757 Waldschmidt began to serve Cacusi (Now Hain's Church in Berks County"
- "A - Four acres. 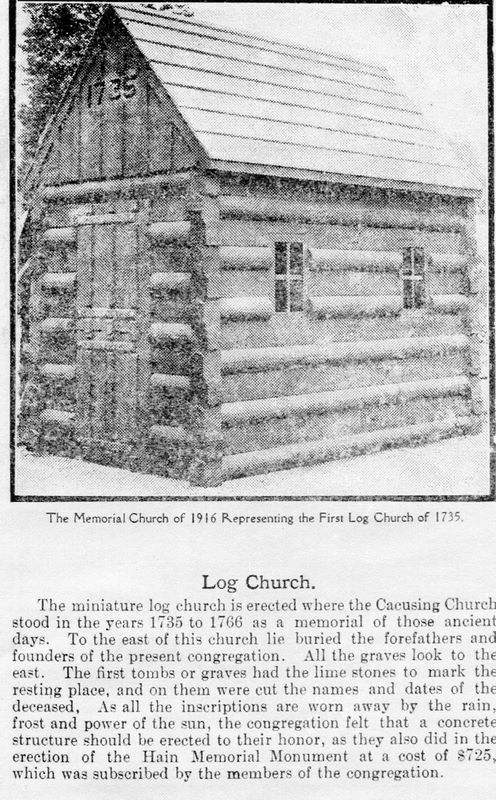 Donated by George Hain at the time of the building of the first or log Church, about the year 1735." - "E - Seven acres, 30 perches. Purchased from the Hain's Cemetery Company was incorporated under the laws of he Commonwealth of Pennsylvania September 11, 1876, Charter Book No 2, page 501, in Berks County Recorder's Office." 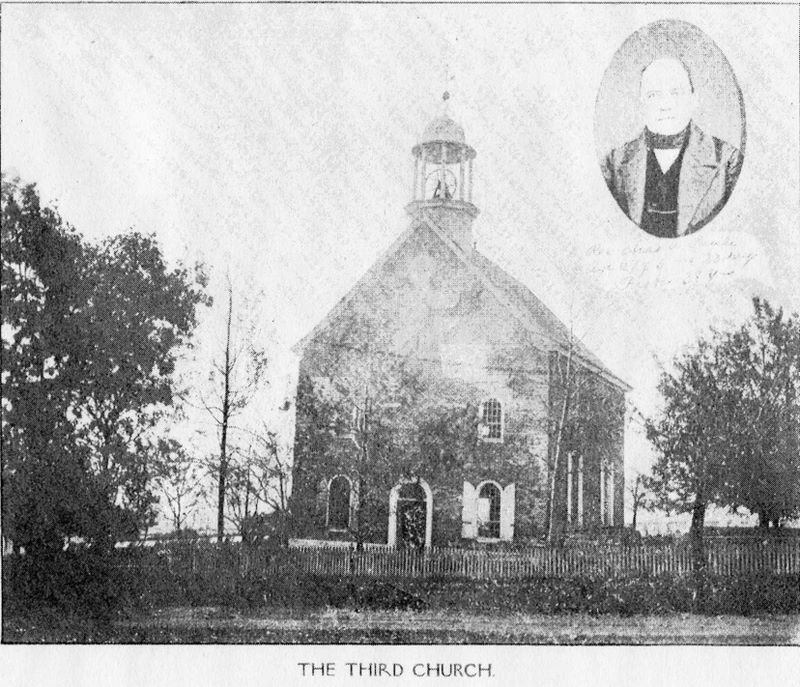 There have been three "History of Hain's Church" books published, and there is a translation copied by William Hinke available from the LDS Library catalog. The Hain's church records are also on Broderbund CD #129(maybe now numbered 166), but it suffers from the same debility that the others suffer. The spelling of the BINKLEY surname in these translations is unbelievably butchered, to the point where I can't separate the Bickee/Bickle/Bickel/Binckee/Binckle/Binkee/Binkel/Binkle/Binkley families one from the other. I'm certain that Binkley is not the only surname so badly mixed up. 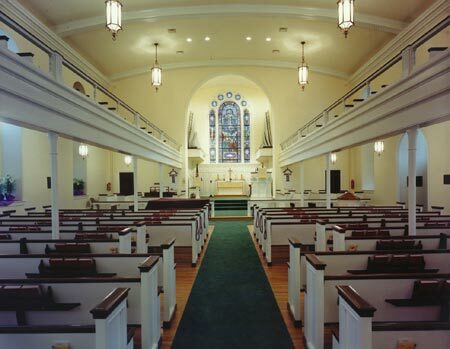 There are many families throughout the US which had their immigrant ancestors move on from Hain's church in their early generations. I think we would all benefit from being able to view these original handwritten entries, so we could make our own judgment of whether they might be our family members or not. The LDS church has not filmed the "original" Hain's church books. 'n' or 'nc' preceding the 'k' was also problematic. the list has looked at this film and could confirm or correct me. 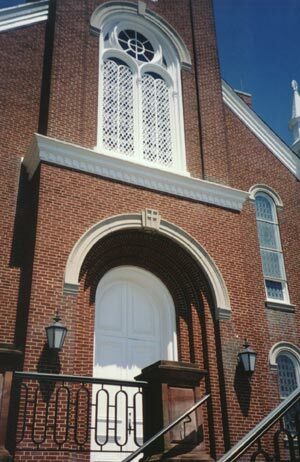 "There is a varied trip to the hill where Hain's Church peeps down into the Lebanon Valley -- The church built in 1766, which still presents above the main door a stone defaced in 1776, when the Declaration of Independence was read to the assembled congregation. Some who heard the words of defiance to King George thought of the legend on the stone, which told of the purpose of the members 'to be loyal to the King.' The cry was raised, 'The King must come out!' A ladder was brought and part of the inscription was removed, and the stone was left with message incomplete, so it is today." , pages 218, 219. "In a letter dated January 14, 1739, Boehm complains of Goetschy's intrusion into his works, especially at Oley. 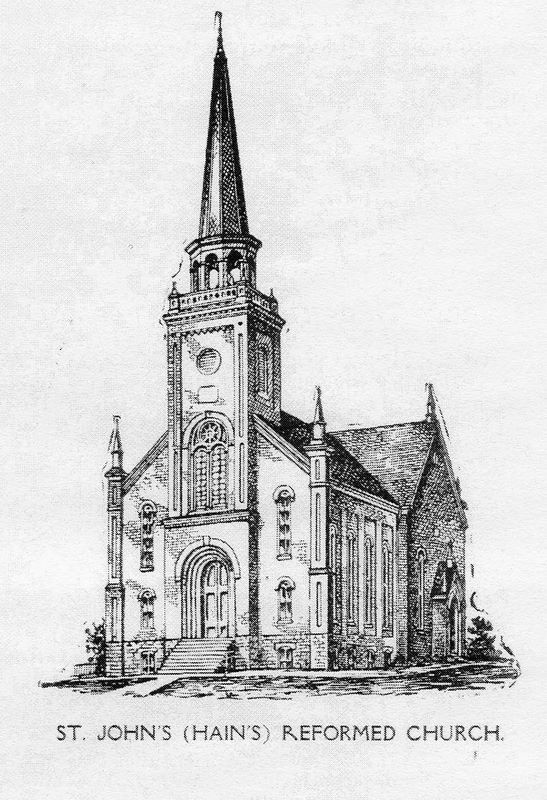 He suggests that a minister be stationed at Oley, who could also serve Caucusi (Hain's Church) eight miles from the center of the Oley district and muxatawny ten miles distant." [S2] pages 76, 77. N1 "The ground for the erection of a church was given by George Hain or Hen. George Hain, after whom the church was named, the donor of the land upon which the church was erected, died in the year 1746, as appears by an appraisment of his estate. The inventory was taken August 19, 1746, wherein mention is made of a certain tract of land on which the church stands, or out of which the church land was taken, which was valued and appraised at 10 pounds." N2 "The stone over the door on the south side, containing the inscription and date of building, was also attended to.